Well, I finished my skirt and I am so pleased with the final results. As mentioned in the previous post, the instructions for this skirt came from Brett Bara’s book Sewing in a Straight Line. I didn’t have any major problems with the making of this. I just wish it would have turned out a bit longer. Well, I plan on making another in red and hopefully that skirt will turn out a better length. 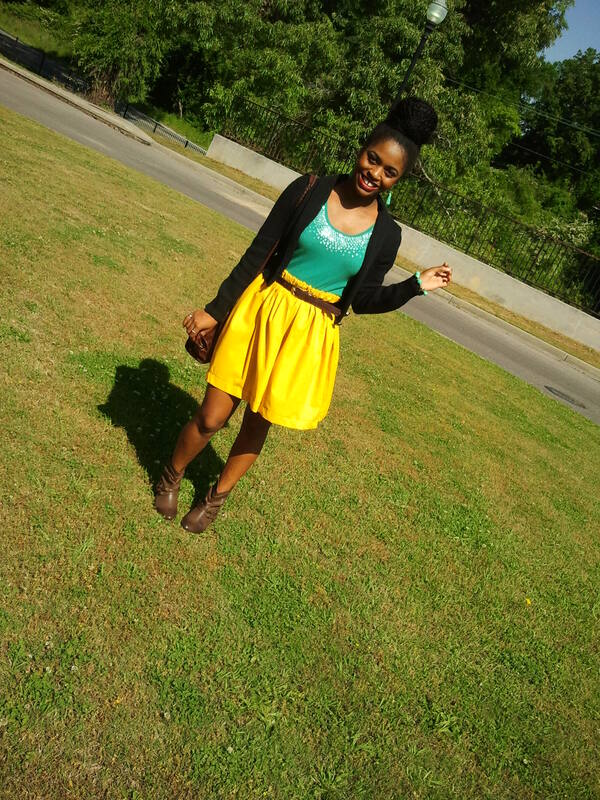 While I simply adore the color, the lining is what makes me love this skirt. It gives the skirt a nice weight and I look forward to wearing it in the colder months with my tights and not have to worry about the skirt sticking to it. 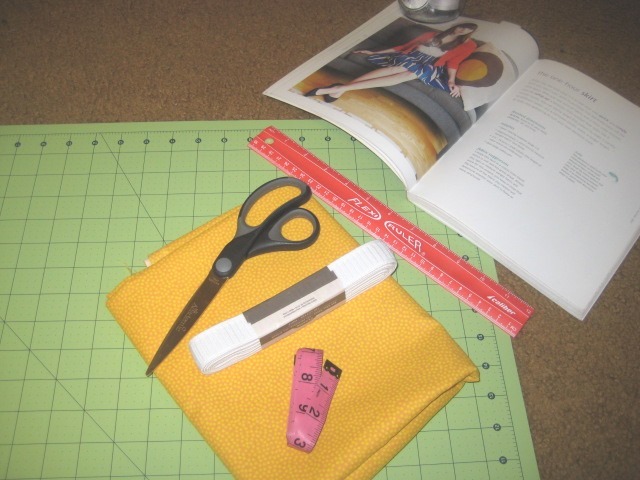 I do plan on making another skirt using these instructions in red very soon, hopefully. Though now I am looking to challenge myself a bit more with my sewing skills. 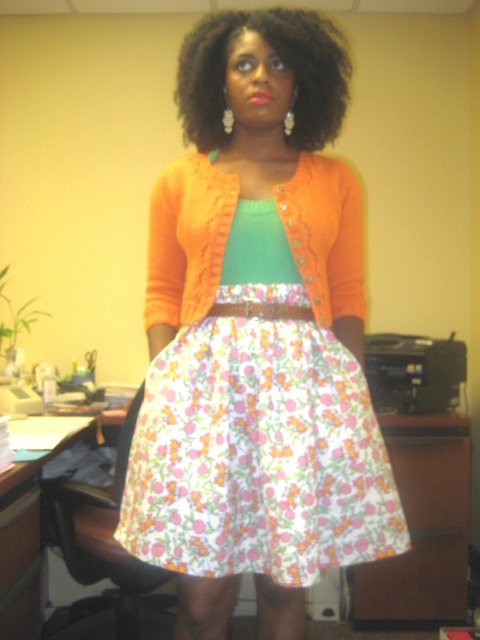 I want to do a skirt without an elastic waist, add pockets to my creations, and make a dress. I’ll keep you posted on how those turn out. 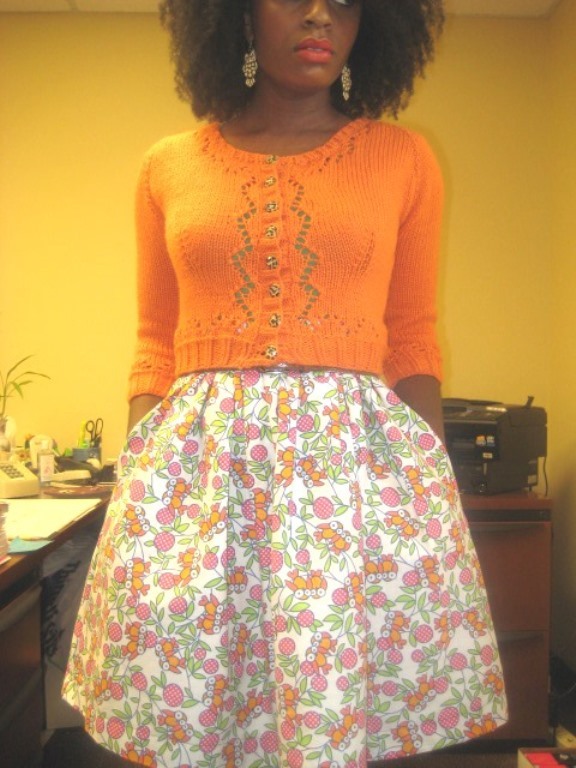 After I made my last skirt, I was really excited about starting a new one. I immediately went and picked up some fabric and lining the next day. Then, the fabric sat on my desk for over 2 months and I never touched it. So, when I was starting Me-Made-May ’14, I realized that I only had one sewn item to add to the mix. And that was that one skirt. That skirt is wearable but, it definitely isn’t a favorite. I really am not a big fan of the length and I hate that it doesn’t have lining. 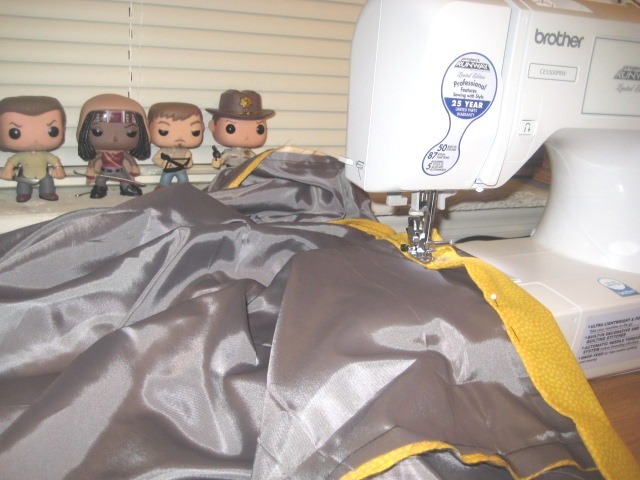 So, last night I picked up my fabric and started making the One-Hour skirt from Sewing in a Straight Line by Brett Bara. Well, I started cutting at 6:00 p.m. and stopped sewing at 10:00 p.m. So yeah, it obviously took me more than a hour. 😉 And I still need to finish the bottom hem and insert the elastic. I also used the instructions from Emmely of Infectious Stitches on how to add a lining to a skirt. Thank you, Emmely! The going went much better than my last skirt and I am already so in love with it. And the best thing is that I am sewing so much straighter! 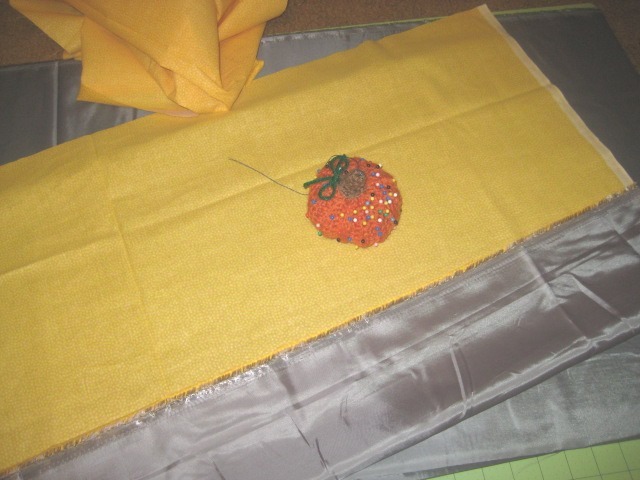 I am making a yellow skirt because yellow is such a pretty color yet, for some reason I don’t really own much of it. I got the fabric from Walmart for only $2.00 per yard. If you look at it really closely it has the cutest little dots. I am also really pleased with the feel and movement of the fabric. I added 2 inches to the length of the skirt and I hope that it falls at least right above the knee or right at the knee. I did take the measurements and it seems to be falling in line. 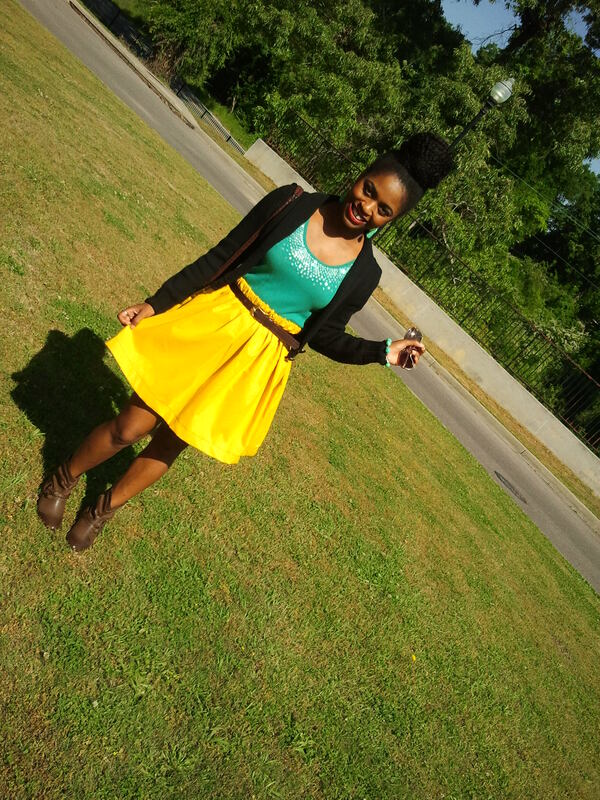 However, with my previous skirt I took the measurements but, it still came out shorter that I intended. I plan on finishing the skirt tonight. I’ll update you with finished pictures in a post.